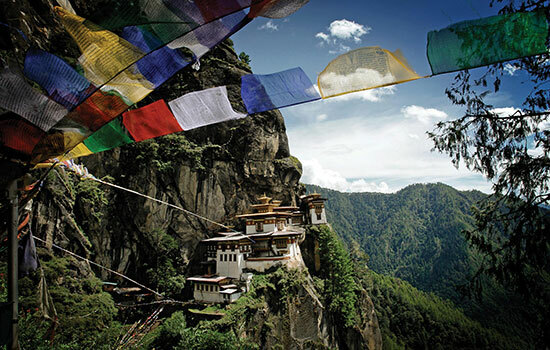 Bhutan is one of the most intriguing nations in the world, and a real rising star where international tourism is concerned. The unspoilt geography of the country is breath-taking in its beauty and provides a true escape into a natural paradise. As a result Bhutan is fast becoming one of the most visited places in the world with many of the nation’s attractions being featured in travel blogs such as Well Known Places. A concept that is iconic of Bhutan is the paro, which is essential a mix between a temple and a fortress. There are many of these incredible structures to be found around the nation, but one of the most notable is the Paro Taktsang, which has become one Bhutan’s major cultural icons. Taktsang translates into Tiger-Cave and there are many different legends that explain the origin of the name. Some say it is due to the thirteen caves that are present at the site. There are others who would say that Guru Padhmasambhava rode to the mountain where the caves are situated on the back of a mythical tigress capable of flight. Some believe that this tigress was the wife of Emperor Yeshe Tsogyal, and she transformed into this form to carry the sacred guru safely to the mountain. There’s a third myth that claims there was a Tiger Demon present within the caves. Shrouded in mystical mythology this temple-fortress is definitely an essential visit if you find yourself in the captivating country of Bhutan. The National Institute for Zorig Chusum also referred to, as the painting school is an initiative of the Bhutanese government to preserve local art and culture. The school provides four to six-year courses for students in Bhutan’s thirteen traditional arts including calligraphy, painting, sculpture, wood carving, casting, pottery, embroidery, tailoring, weaving, masonry, silver and gold smithy. Established in 1971, the school is seen as a foundation to protect and preserve the invaluable heritage of arts and crafts in Bhutan. If you are visiting the country and worried about finding good accommodation, don’t worry there are plenty of luxury hotels in Bhutan such as the COMO Uma by COMO Hotels & Resorts; that are well-equipped. During your stay in Bhutan, visit the National Institute for Zorig Chusum where you can witness the effortless talents of the youngsters studying in the school. The art taught in Bhutan today was introduced to the country by the treasure discoverer Terton Pema Lingpa during the fifteenth century. The traditional crafts taught in the school represent the knowledge and ability that has been passed down to many generations over hundreds of years. During the 4-6 year training, the students board at the institute’s hostel where they receive all necessary facilities which is financed by the government. The Institute for Zorig Chusum falls under the National Technical Training Authority, which was created in 1999 to look after the quality of vocational training. For over thirty years the institute has instructed students in the thirteen areas of study. The school has been fortunate to receive generous grants from the Netherlands, which has helped to improve the curriculum and facilities. Apart from the thirteen main subjects, the school also offers metal work, weaving, gold-grinding, and the making of religious drums in the curriculum and these courses last up to two years. Are you the adventurous type? Then a camping trip in the Himalayas is something you must experience. It is the best way to enjoy a truly memorable, adrenaline filled hike off the beaten path. It is also the best way to witness the grandeur of the Himalayas and explore the ancient cultures and the lifestyles of those residing in the surrounding areas. Pack up your bags and head to Bhutan, a friendly South Asian nation nestled between two gigantic neighbours, China and India. Bhutan is a culturally and biologically diverse small Himalayan Kingdom. A tour to the Himalayan ranges in the south of Bhutan is the country’s most sought after tourist attraction. It is also an unmatched trek for nature lovers seeking to explore the unseen. Travelers can stay at a Bhutan Hotel located within easy reach to the world’s highest point, such as the intimate Uma by COMO, Paro. Such hotels are ideally positioned for unforgettable Himalayan camping adventures. There are many exciting ways to reach the world’s highest peak. You could walk, ride a bicycle or even enjoy an exhilarating motorbike ride – the choice is yours. You can also choose from different treks flanked by ancient temples, lush forests, abundant wildlife and traditional culture. On your way to the world’s summit you can stop by to visit some villages, explore their lifestyles and even savour some traditional local food. There are many well planned Himalayan tour packages made available by hotels and tour agents in Bhutan. You can simply pick a Himalayan tour that suits your own budget, preference and pace. When you reach the highest point of the world and gaze at the spectacular surroundings you will discover that a trip to the Himalayas is undeniably the journey of a lifetime. Mountain Biking in Bhutan – Cycling Back in Time! The enchanting land of Bhutan with its stunning mountain landscapes, ancient temples and lush green valley’s is the perfect place for a mountain biking excursion. 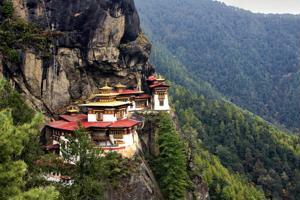 Before setting off on such adventures make sure you find Bhutan tour packages that let you truly explore the country. 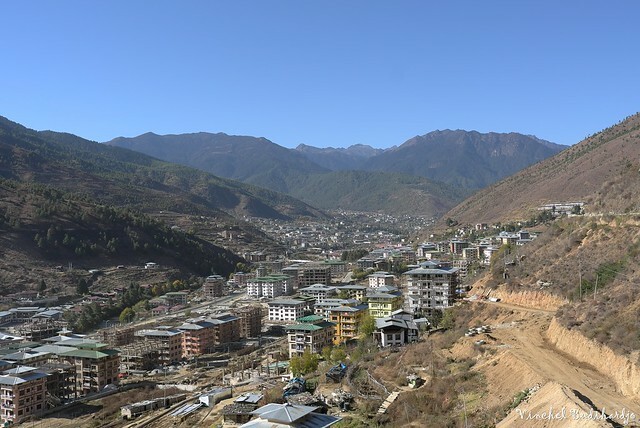 Travellers in search of a suitable Bhutan hotel from which to head off on tours can consider Uma Bhutan which is ideally located in the Paro Valley which is a great place to go cycling. Since Bhutan consists of mountain ranges and valleys, mountain biking is ideally suited for those planning to go off the beaten track. On your journey of discovery you will come across lush forests and meadows, not forgetting ancient villages seemingly lost in time. 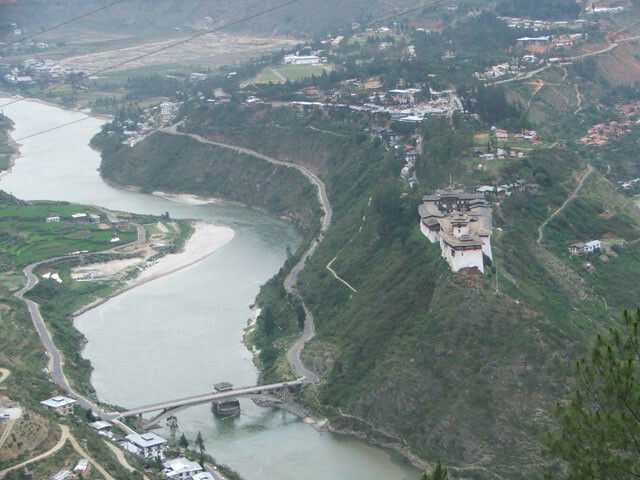 Thimphu, Paro, Bumthang and Trongsa are among the well known areas for such excursions. Spring (March to May) and Autumn (September to November) are generally the best times for cycling in Bhutan, while special mountain biking tours can be found which include your very own guide who will lead you on this exciting adventure. Bhutan is popular amongst bird lovers and ornithologists because it is home to a diverse species of birds in the South Asian region. The country boasts of having over 670 types of birds and what is even more fascinating is the fact that there are more species to be discovered. A number of the birds that are found in the country belong to the winter migrant category, ducks, thrushes, buntings, waders and finches migrate to this area during the winter season. On the other there are varieties of birds that make their home in the Bhutan kingdom throughout the different seasons. Some of the most colorful and interesting birds are the swifts, warblers, bee eaters, cuckoos and fly catchers. The country is covered by forests and valleys which make it a haven for bird populations. When making the trip across the countryside you notice the remarkable natural surroundings of the place. Nature remains unspoiled and untouched and it is obvious that Bhutan strives to conserve the natural landscape in the state. When visiting Bhutan a bird watching tour should definitely be included in the itinerary, it is a major tourist attraction that allows visitors to explore and enjoy the wonderful forests. Note that the central and eastern parts of the country are known to have high concentrations of birds and the excursions through that area of forests give you a feel for nature and the animal kingdom. As part of the bird watching tours you will often encounter Buddhist stupas and temples. Bhutan is a Buddhist kingdom and the rich historical and cultural influence of Buddhism is definitely something visitors should experience during the tours. There are several bird watching tours available for tourists and visitors who want to indulge in the natural splendor of Bhutan. Bhutan Tour Packages are often promoted through Bhutan Hotels and it is easy to find something that suits your budget and your preferences. Paro valley is considered to be one of the most attractive places for bird watching and for a relaxing stay Uma Bhutan; a luxurious Como resort offers some of the best accommodation in the area. Relaxation is the key factor of your stay in Bhutan and the comforts of a luxury resort will certainly enlighten the holiday spent there. Often described as an unchanged universe of its own the quaint nation of Bhutan is perhaps best known as the last remaining entirely intact Buddhist Himalayan territory. Stepping in to a time and a civilization that has been largely left behind by the modern world visitors will be transported to a venue that is still intrinsically linked with the natural elements in a setting that can only be described as panoramically breathtaking. Staunchly preserving its way of life in the face of a rapidly changing globe the kingdom of Bhutan is an adventure lover’s heartland with some of the most captivating and awe-inspiring attractions in Asia contained within its snow-capped confines. Adrenalin junkies heading to this remote corner of Asia can select a number of engaging tours that tests one’s physical stamina while challenging preconceived notions of this exotic holiday location. Hikers can trek the sacred realm of the “tiger’s den” monastic institution which lies on a gravity defying vertical cliff one meets after crossing the holy Lake Tsonapatta which in turn is contained within a centuries old rhododendron jungle. Visitors can also enjoy conventional celebrations of the Tsechu tribe in rural villages and enjoy local festivities such as the Jakar Festival of Haa town and other neighbouring villages. The trek to the countries highest positioned village and its holiest peak on the other hand is encompassed in the Laya and Chomolhari hike which takes guests along an off-track route to the Chomolhari base camp where visitors can explore the country’s Divine Mountain in its entire splendour. The yak-herding rural communities of the Layap are also part of the tour while mountain biking enthusiasts can also uncover Bhutan natural and cultural treasures along the country’s dirt laden winding roads that make for an interesting biking experience. Kayaking and rafting fans can also get their feet wet in the Country’s six pristine rivers and their tributaries which are nourished by the Eastern Himalayas. Named Kuri Chhu, Dangme Chhu, Wang Chhu, Puna Tsang Chhu, Sunkosh and Mangde Chhu these idyllic rivers and their streams are all deemed perfect for rafting and kayaking excursions. Cutting across towering valleys and cascading plains the rivers join the Indian river of Brahmaputra at journey’s end. Allowing visitors to discover the virgin forests and stunning wilderness of Bhutan these tours offer currents of up to 5m in height while gentle flowing areas are also available for novice rafters. Travellers in search of an award winning hotel in Bhutan should look to the luxury hotel group known as COMO Hotels and Resorts for all their accommodation needs. Offering guests the best in contemporary amenities the elegant establishments under this hotel conglomerate pulls out all the stops when it comes to unforgettable vacations. Bhutan is a nation that has been considered an oasis among the rampant commercialism and industrial revolution that is sweeping the world today. Being a tiny landlocked nation, nestled on the hills of the Himalayas among some of the tallest mountains in the world, Bhutan is also renowned for its great natural beauty. The lifestyles of the Bhutanese people have also changed little over the last hundred years and the vast majority live off agriculture by traditional methods. The country is also famous for calculating the living standards of its people using an index known as Gross National Happiness that shuns the western notion of material wealth. This has helped the preservation of the natural environment in this country and kept it safe from over exploitation. The landscape of Bhutan is dependent largely on its topography and altitude changes. It can range from low lying grassland plateaus to alpine forests in the Himalayas. The wildlife changes according to the type of forest and Takin a species of mountain goat that is endemic to the region is found ubiquitously along the mountains. The Royal Manas National Park in Bhutan was created in order to preserve this great natural heritage that the country had been blessed with. Its 400 square miles of land area has a varied geography ranging from low lying areas to mountainous parts that are covered with ice all year round. Among the animals that are to be spotted are the Bengal Tiger, Pygmy Hog, One Horned Rhinoceros and the Ganges River Dolphin. Many of these species are endemic to the region and some such as the One Horned Rhino are listed as being endangered by wildlife conservationists. The Royal Manas National Park is located centrally within the country so that if forms a natural corridor for animals to migrate to other protected forests that are in the peripheral parts. A visit here is a must do for tourists at a Bhutan hotel. Wildlife enthusiasts staying in a Paro hotel such as Uma Bhutan can easily arrange transport to visit this great natural park that is a hotbed of bio diversity and a custodian of a unique eco system. A secluded yet beautiful state tucked away in the Eastern Himalayas, Bhutan is a truly extraordinary country brimming with a never ending trail of monasteries and breathtaking beauty while preserving the rich heritage of the nation. The valleys alone are of such indescribable beauty as small springs and rivulets trickle merrily down the steep yet lush green mountains to meet the plateau below making trekking in Bhutan is a beautiful experience. Bhutan’s natural terrain and picturesque landscape make trekking in the country a truly wonderful experience and it is no one wonder that some of the world’s best trekking trails are found in the country. The best times to trek are in April and October for the weather is clear and there is little snow fall though one can trek around the year in a number of low-altitude trails as well. Trekking in high altitude is quite a difficult task which makes physical fitness and endurance quite important. However, these treks are particularly rewarding for the natural landscape is breathtakingly mesmerizing and are memories one is not likely to forget. Depending on what you wish to see and your physical health, one can select from a number of trekking or hiking options ranging from day hikes to multi-day treks. The Jhomolhari – Laya – Gasa trek is a well known route that takes a little more than two weeks to complete and exposes trekkers to the Gasa hot springs as well. On the other hand, the Snowman Trek is an excursion that allows trekkers to explore the outer reaches of the Himalayas and has the distinction of being the most difficult trekking route in Bhutan. Not only should one be prepared to trek for around 24 days but as the route takes you to very high attitudes, altitude sickness is rampant and if you fall sick in the interim, it is a very long way to get back to safety. Subsequent to successfully completing these treks, travellers can opt for the luxury of staying a Bhutan hotel complete with all the modern amenities and little luxuries. Opting to stay at Uma Bhutan, a resort featuring private villas overlooking the Paro valley will provide you with the opportunity to soak up the culture of the Bhutanese people as this Paro hotel is located within close proximity of the Tiger’s Nest monastery and a number of museums and monasteries. The Kingdom of Bhutan is a small nation situated between India and China. The country is known for its cultural richness and its picturesque landscapes, which have earned it the sobriquet ‘the Last Shangri-La’. Much of the country’s past is a mystery and has been obscured by myth and folklore. It is believed that the first humans settled here sometime around 2000 BC although it emerged as a nation only during the seventeenth century. Before that the land was composed of several fiefdoms that were constantly at war with each other. Ngawanag Namgyal, a Tibetan lama, is credited with unifying the country in 1616. He imposed a legal and civil system in the country and declared himself the ruler. However, the system fell to pieces when he died and the country was torn apart by war for two more centuries until Ugyen Wangchuck came to power in 1885. He was eventually named the Druk Gyalpo, the Dragon King in 1907, a title that would pass down his bloodline. All Bhutan’s rulers have attempted to modernise the country by establishing more schools, and building better roads and newer hospitals. This trend was continued by Jigme Dorji Wangchuck who imposed sweeping reforms to make the Bhutanese government more efficient. It was during his reign that Bhutan was formally inducted as a member nation of the United Nations. He was succeeded by his son, Jigme Singye Wanchuck, whose ideology of Gross National Happiness led to a 2011 UN resolution that emphasises social and economic policies based on the happiness it will bring to citizens. While Bhutan is still considered a developing nation, it is a wonderful place to visit and tourists are sure to have a lot of fun here. Tourism in Bhutan is a little peculiar. Foreigners are charged a daily fee that covers accommodation, food, and even a local guide. For more information on the tariffs one can head over to the official tourism website. When it comes to staying in Bhutan one should try COMO Hotels and Resorts. The luxury hotel group has anaward winning Hotel in Paro that promises a delightful stay.